Over the last few years, there has been an observable increase in the number of articles written by authors from the emerging nations, headed by China and other East Asian countries. These articles, published in leading international journals, are threatening the American dominance in the field of science. Between 2001 and 2011, the number of publications emanating from China in peer-reviewed journals went up from 3% to 11% of total world output. This phenomenon has been the subject of numerous studies, in view of the impact it has had on the global academic publication landscape. Nevertheless, authors coming from countries whose culture and language are not English are experiencing additional difficulties in drafting and submitting their papers for publication in international journals, now that English has established itself as the lingua franca for science worldwide. Conversely, international journal publishers are confronted with growing numbers of papers written by authors from non-English speaking countries which often report good research outcomes but which are marred by poor wording, insufficient scope, or flaws resulting from not understanding the instructions to authors and other standards. Countless questions emerge from this scenario. Are the challenges faced by authors and editors specific to a particular region of non-English speaking countries or are they shared by a number of areas? Does the field of knowledge have any influence? Are ethical questions such as plagiarism or salami-publishing widespread? With a view to answering these and other questions, a company based in India which offers English language translation, publishing support and editing services for authors of non-English speaking countries, carried out two questionnaire-based surveys. The first was with authors from China, Japan and South Korea and the second was with editors of leading international journals, mainly in Europe and the USA, and published entirely in English. The results obtained from the two questionnaires were compared and allow us to lay out an interesting schema of the key players in the process of scholarly communication. In response to the survey, both completed and incomplete questionnaires were received from authors and editors. On average, each country – that is, China, Japan and South Korea – sent around 100 completed questionnaires. International journal editors returned slightly more than 50 completed questionnaires, assessed by the author of the article describing the study as representative of the target population of the surveys. A fraction of the 98% of authors who responded indicated that English was their second language, and 93% indicated that they were working in Asia at the time the survey was carried out. Of these, 61% work in the field of life sciences, 14% in the physical sciences and 25% in other disciplines which include chemistry, environmental sciences, material and human sciences. The majority (56%) stated that they had published less than five articles in international journals, while 19% stated having published between five and ten articles, and 26% more than ten in these journals. Of the editors who responded to the questionnaire, only those who stated that they were directly involved in the selection of papers which had been submitted or in editorial decision-making were included. Of these, 77% stated that they had more than five year’s experience as an editor; 18% between one and five years; and just 5% stated that they had less than one year’s experience as an editor. The vast majority (63%) stated that their journals were based in the US; 13% were based in Canada; 4% in Holland and New Zealand, with the remainder located in other countries. Of these editors, 45% ranked their journals as belonging to the top 5% of journals in their areas of expertise (evaluation independent of the Impact Factor), 29% amongst the 6 – 25% top journals, and just 7% judged their journals to be situated amongst the 50% lower ranked journals. Of the journal editors who responded, 67% state that they receive less than 20% of original submissions from East Asian countries. The second part of the survey compared aspects of the publication process and its relative importance for authors and researchers. This analysis is particularly important in pinpointing the critical aspects of a paper which result in it being accepted or rejected. Authors and publishers were invited to rank numerically those aspects they considered to be key in an article: preparation of the paper, the peer-review and submission process, journal selection and ethical aspects. Authors and publishers provided comparative rankings for the majority of the topics indicated above. Both parties were in agreement that the most challenging aspect is the preparation of the paper for submission. However, they rated the fulfillment of ethical standards as not providing much of a challenge, an aspect highly valued by editors. As far as the selection of a particular journal is concerned, authors and editors agree that the scope of the journal and its impact factor are highly relevant. They also rated equally important the length of the evaluation process, the editorial board, the target audience, and country of publication and whether the journal was open access. The instructions given to authors is a highly controversial area for both authors and editors. The great majority of editors (76%) consider this aspect to be clear and comprehensive. On the other hand, the percentage of authors who agreed with this estimation was barely 32%. The remainder is split up into the following categories: clear but incomplete; not clear and comprehensive; and not clear and incomplete. Fortunately, the final category was chosen by only 1% of the publishers and 10% of the authors. At any rate, this could be an indication that clearer rules could be of benefit to authors, especially those who are from non-English speaking countries. When examined in greater detail, the important question of ethical aspects is interpreted differently by authors and editors. When the following aspects are considered – data fabrication, plagiarism, salami-publishing, authorship, approval of the experimental protocol by ethics committees, conflict of interest, and copyright – the only area of consensus was in the area of data fabrication. In other words, authors value this aspect as clearly understood, and editors report it as one of their less frequently encountered problems. The remaining aspects, in spite of their having been assessed as easily understandable by the authors, were reported as being those most commonly encountered by editors. As far as the sections of submissions are concerned (title, summary, introduction, materials and methods, results, discussion, bibliographic review, figures and tables and formatting) the one which causes the greatest difficulty for authors is the discussion section, while editors consider it as non-problematic. An area where both parties disagree is in the title section, signaled out as challenging by the authors, and considered to be non- problematic by the editors. Both groups are in agreement as far as the remaining sections of the submissions are concerned. The stages in the research process, from the original hypothesis, to going through a review of the literature, to discussion of the results obtained and writing in the style required by the journal were evaluated similarly by authors and editors, with exception of the original hypothesis, considered challenging by the authors, but which was not signaled out as problematic by the editors. On the other hand, while authors did not consider it challenging to follow the style required by the journal, editors reported frequent problems in this regard. As to the submission process, authors and editors agree that understanding the requirements and steps in the process are challenging and frequently cause difficulties. The peer-review process, on the other hand, is critical for both groups. The majority (84%) of the authors stated that they usually reply point by point to the comments of the reviewers. However, almost half of the editors that responded said that the authors limit themselves to answering questions with which they agree. No editor believes that authors retract their papers from the submission process due to receiving complex and extensive comments from reviewers; however 3% of authors state that they retract and submit their papers to another journal without modification, and 4% incorporate changes which they agree to before submitting the paper to another journal. The rejection of papers is an important issue for both groups. Authors and editors who responded to this question agree that studies which show no innovation are a major cause for rejections, followed by failure to be in line with the scope of the journal, and exaggerated conclusions not based on the results presented. Surprisingly, and contrary to what authors thought, poor writing is not a reason for rejections according to the editors. Both groups felt that aspects such as inadequate methodology, poorly designed tables and graphics and ethical considerations are reasons for rejection. The responses given by authors to the question concerning how to reduce the challenges in the editorial process served as the raw data for constructing a table that relates the various aspects of this process (journal selection, preparation of the paper, conforming to ethical standards and the submission process) with practical suggestions to make it easier and clearer to interpret. These suggestions, in fact, could also be useful to authors from emerging economies in other regions, given its comprehensive nature. Similarly, the opinions of the editors on the comparison of the submission of papers by authors from East Asia and other non-English speaking countries led to some important conclusions. According to the majority of editors, papers from these countries are similar as far as being in line with the scope of the journal is concerned, following ethical standards and suitability for the process of submission and peer-review. Recurring opinions about which topics they would like to provide training in for authors from East Asia included topics such as plagiarism and self-plagiarism, research ethics, and the importance of of having the paper reviewed by a native English speaking reviewer before submitting it for publication. 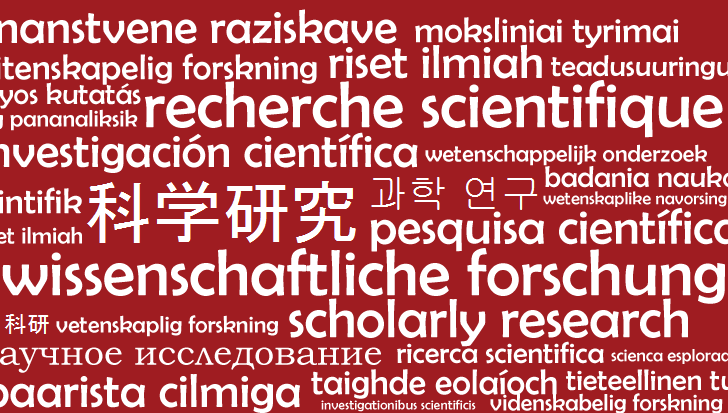 The system of academic evaluation based on scholarly publications, often exacerbated by impact factor indicators based on citations, results in the introduction of a series of distortions, particularly in non-English speaking countries that are compelled to publish in English in international journals. Moreover, researchers do not receive formal training in research writing and in the process of publication during their undergraduate or graduate years, and despite the existence of numerous publications about this topic in the literature, it is an aspect they do not master properly. The article discussed in this post indicates that the preparation of a paper is one of the aspects considered by authors to be very challenging, and editors rank poorly written papers as one of the most common reasons for rejection. Despite the emergence of numerous professional translating and proofreading services available in non-English speaking countries, and support throughout the editorial process, this study shows that the aspect of a command of the language remains an unsolved problem and possibly requires the teaching of English even in undergraduate courses. The issue of open access was considered the lowest priority by authors in selecting a journal, which is surprising, in view of the extensive growth of this publication model throughout in the world; however it is possible that the importance of open access has not yet been fully perceived or understood by authors in Asia. Regarding ethical issues, authors state that they have a clear understanding of the aspects of data fabrication and plagiarism, and editors report this as a problem rarely encountered. However, this goes against the growing number of retractions that have been reported in this region, indicating that authors in Asia do not clearly understand the concepts of plagiarism and other ethical infractions or, in spite of understanding them, consider them difficult to follow. Authors and editors disagree on the quality and clarity in the training of authors. While the latter classify it as comprehensive and objective, the majority of authors have a different opinion and believe that the training could be clearer and more comprehensive. Thus, it would be beneficial for journals to make this training available in various languages, and update it on a frequent basis. Finally, authors stated that they responded systematically to questions from the peer-reviewers, and then re-submitted the papers. However, most editors report that authors respond only to the questions with which they agree. However, it is possible that the authors do not understand the extensive and complex comments of the reviewers, and believe that the have replied satisfactorily when in reality they have not. The results presented here suggest that authors require training to properly guide their papers through the editorial process, especially those in non-English speaking countries. The following limitations should be taken into account in this study: the small size of the sample, considering the large number of researchers in China, Japan and South Korea, and the fact that the majority of editors who replied to the study stated that less than 20% of the submitted papers came from East Asia. Nevertheless, suggestions by authors and publishers on how to make the process of academic publishing clearer and simpler can be useful to the non-English speaking countries in regions other than Asia. Lilian Nassi-Calò studied chemistry at Instituto de Química – USP, holds a doctorate in Biochemistry by the same institution and a post-doctorate as an Alexander von Humboldt fellow in Wuerzburg, Germany. After her studies, she was a professor and researcher at IQ-USP. 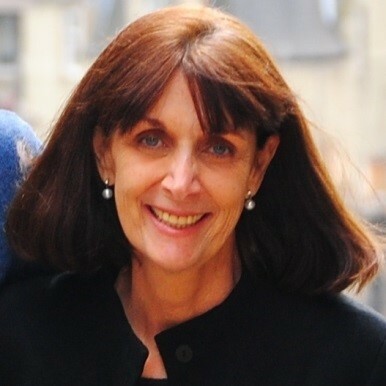 She also worked as an industrial chemist and presently she is Coordinator of Scientific Communication at BIREME/PAHO/WHO and a collaborator of SciELO.